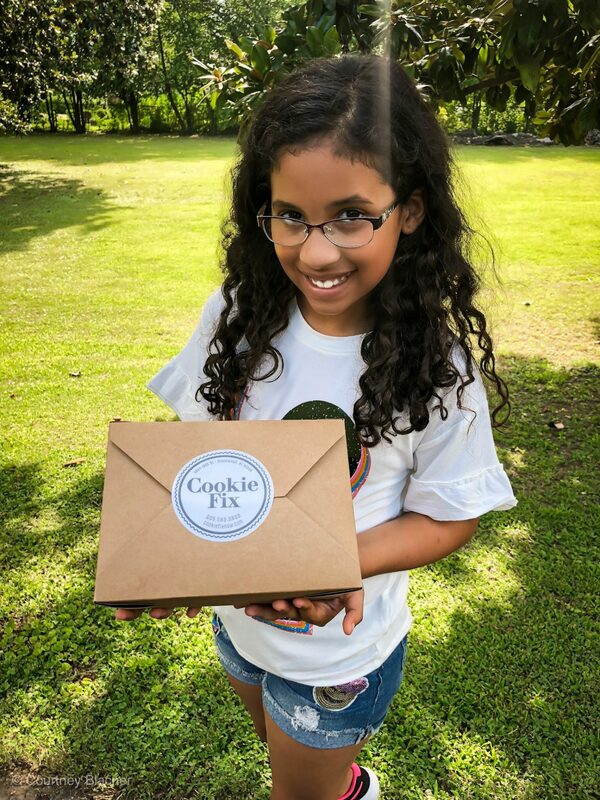 This post”We Found The Best Cookies in Alabama – Cookie Fix” was sponsored by Visit Alabama. All opinions expressed are my own. For more information on our sponsored post and/or affiliate links policy, please click here. Cookie Fix has a reputation for baking the most delicious cookies, and they offer over 60 flavors. They also provide seasonal desserts, and even frozen dough to go for their customers. So, if you have some extra time to kill, you can bake your own batch of Cookie Fix cookies at home! Our road trip was packed with activities and we had a heavy itinerary to follow, so we really couldn’t venture out a lot. We woke up the next day with every intention of heading to get our cookie fix but just couldn’t make it. 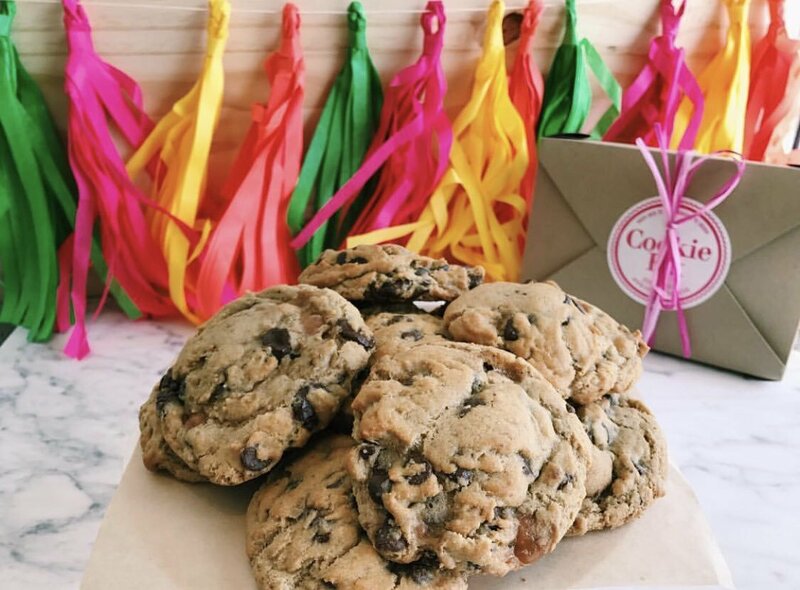 Luckily, our friends over at Visit Alabama had already predicted that we’d have a busy itinerary so they planned ahead and had some of Cookie Fix’s most delicious assortment of cookies delivered to us. How on Earth could we say no to that kind of breakfast? Newsflash, we didn’t lol! Reese was in love with their “Peanut Butter Oreo cookies,” and I was instantly hooked on the “Cookies and Cream” flavored cookies, which were basically chocolate chips, white chocolate chips, and Oreos. But we tried other varieties that were just as scrumptious. Reese also loved the “M&M Chocolate Chip” cookies because she loves M&Ms, and I almost lost a finger trying to grab one of the “S’more Please” cookies from the box she was holding. This cookie was so good. It was jam-packed with chunks of chocolate, marshmallows, and a sprinkling of sea salt. Of course, they had plenty of other varieties too. Amy Jason, the founder of Cookie Fix spent a lot of time coming up with the right ingredients to load up on her cookies, such as toffee, caramel, espresso chunks, and that’s just to name a few. If you want to check out their full menu, click here. But fair warning. You’ll have a hard time picking one! 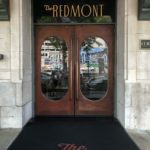 Looking For Other Must Visit Locations in Alabama? 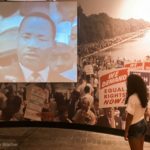 Check out our post “72 Hours in Alabama”!